The company said its Vercise Gevia deep brain stimulation (DBS) system is the industry's first MR-conditional directional DBS system with stimulation visualization. 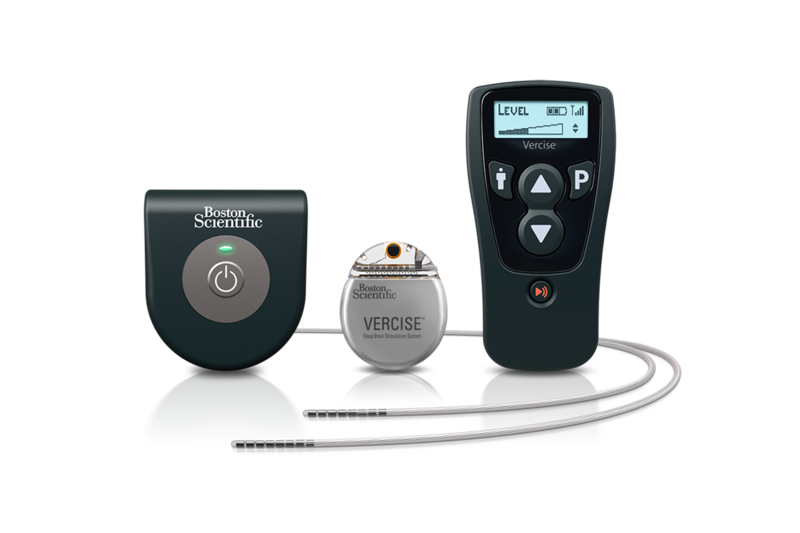 Boston Scientific's Vercise deep brain stmulation (DBS) system is intended for the treatment of movement disorder symptoms in patients with Parkinson's disease, dystonia, and essential tremor. The recent CE mark applies to the newest version of this technology, the Vercise Gevia DBS system. This week Boston Scientific announced that its newest brain stimulation system, known as the Vercise Gevia, received the CE mark -- an approval that will expand the availability of the device throughout Europe. The deep brain stimulation (DBS) system is a new MR-conditional device that can be used for the treatment of movement disorders like Parkinson's disease, dystonia, and essential tremor. The new system features a new piece of software designed to enable clinicians to visualize the stimulation field while configuring DBS stimulation programs for patients -- something that no other technology has been able to do. The Vercise Gevia is also a rechargeable platform that will allow for a more targeted approach to brain stimulation using electrical signals. The system was even designed to provide clinicians with the ability to adjust the size, shape, and direction of the stimulation, with what the company calls multiple independent current control technology. With the new software, physicians can now visualize how the brain stimulation will be distributed to specific areas of the brain in an effort to fine tune therapies for individual patients. The rechargeable platform also provides the technology with a 25-year battery life, and will allow patients to maintain the ability to have an MRI, making it one of the most advanced DBS therapy systems on the market. New brain stimulation therapies have become an area of increasing interest for the growing number of patients that suffer from Parkinson's disease and essential tremor. Last year Insightec, an Israel based medical technology company, developed one of the first alternatives to brain surgery for patients seeking treatment for essential tremor disorder. That new device produces beams of ultrasound that converge on specific points in the brain to burn away problematic brain tissue. The process falls under the umbrella of neuromodulation therapy, a field that continues to grow as patients seek alternative treatments for a number of different conditions from chronic pain, to Parkinson's disease and epilepsy. Many physicians are still coming to understand the promise of neuromodulation as a means to treat various debilitating conditions that have failed to respond to pharmaceutical drugs. Devices like the new Vercise Gevia could go a long way toward helping these individuals who haven't responded to pharmaceutical drugs, without having to consider much more invasive and expensive options like surgery. Boston Scientific said it continues to run trials on the new technology, but multiple studies have shown the effectiveness of deep brain stimulation techniques for treating Parkinson's disease and other degenerative disorders. While DBS therapies remain a form of outside-the-box treatment, increased trials and new product designs have provided the building blocks for a new therapy that could push the boundaries, paving the way for the next generation of treatment options. That transformation may not happen overnight, but the winds of change certainly seem to be in the air -- and Boston Scientific has become one of the first of the industry's leaders to seize the opportunity.